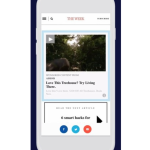 Sharethrough, the largest native advertising Supply Side Platform (SSP), announced today a new programmatic native advertising integration with StrikeAd by Sizmek, the mobile-first programmatic solution for global brands and trading desks. This new integration will allow trading desks and media buyers who use StrikeAd’s Demand Side Platform (DSP) to access massive audiences with in-feed placements across mobile apps and sites on the Sharethrough Exchange, through StrikeAd’s intuitive and flexible platform. This move combines StrikeAd’s custom mobile API’s, award-winning optimization engine and support with Sharethrough’s network of premium publishers. The integrations will run off the IAB’s OpenRTB 2.3 spec that standardized the component parts for the real time trading of native ads. The integration is live for mobile native display buyers, with additional formats like native video support coming up next. Native video is forecast to be a massive driver of growth in native advertising in 2017. StrikeAd, the world’s first mobile-specific DSP, works with some of the largest media buyers and brands in the world, offering global scale for mobile inventory across the industry and helping them integrate data seamlessly into their campaigns to reach new audiences with a range of dynamic targeting options. In addition, under the umbrella of Sizmek, StrikeAd clients already enjoy the benefits of several scalable offerings such as mobile contextual targeting and brand safety (Peer39), seamless trafficking and centralized cost tracking (DSP Connect), as well as Dynamic Creative Optimization (DCO) paired with direct integrations with multiple DMPs and 3rd party data providers (Data Hub). In 2016, Sharethrough doubled native ad buying through its platform, reporting $140 million in gross spend. According to Business Insider Intelligence, the native advertising market is forecasted to grow by over $4 billion in 2017, surpassing $20 billion for the first time. The Sharethrough Exchange transacts 4.5 billion impressions each month, with over three-quarters of those on mobile devices, working with over 1,100 premium publishers: household names such as Time Inc, Turner Digital (CNN) and Wenner Media, as well as app properties such as ABC News, Under Armour and Rotten Tomatoes. Founded in 2008, Sharethrough is the leading global native advertising platform, helping publishers maximize revenue and brands earn meaningful attention by powering ads that fit into – rather than interrupt – the audience experience. Sharethrough’s flagship product, Sharethrough for Publishers (SFP), is a native advertising Supply Side Platform used by the world’s largest publishers to power their complete monetization strategy for in-feed native ad inventory across mobile, tablet and desktop. Sharethrough is headquartered in San Francisco, with offices in New York, Chicago, Los Angeles, Austin, Detroit, London, Tokyo and Toronto. Sizmek is the Open Ad Management company that brings freedom of choice and contextual relevance to omnichannel digital advertising. 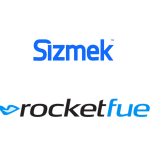 As the largest independent ad server, more than 42,000 next generation advertisers, agencies, publishers, and trading desks rely on Sizmek’s offerings and flexible third-party platform integrations to provide the industry’s most customizable, best-in-class approach to creating seamless workflow across a wide variety of partners in the digital advertising ecosystem. With a single point of access to the best technology, data, and strategic guidance, Sizmek builds flexible solutions for marketers and publishers that combine programmatic efficiency with creative. Sizmek operates in more than 70 countries, with local offices providing award-winning service throughout North America, EMEA, LATAM, and APAC.